Attorneys - Malca Law P.A. Admitted to The Florida Bar, 1975, U.S. District Court, Southern District of Florida. Recipient: W.L. “Bud” Adams Award of outstanding service in advancing the philosophy and practice of the workers ‘ compensation system (1992). Named to The Best Lawyers in America, continuously from 1995 through present. “AV” rating, Martindale-Hubbell Law Directory. Board Certified Workers’ Compensation Lawyer, The Florida Bar Board of Legal Specialization and Education. Commissioner, Statewide Judicial Nominating Commission for Judges of Compensation Claims, 1990- 1994. 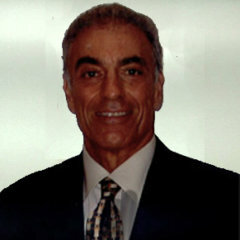 Chairman, Workers’ Compensation Section of Florida Bar (1989-1990, 2005-2006). Chairman, Workers’ Compensation Section of the Academy of Florida Trial Lawyers (1990-1991). Executive Counsel, The Florida Bar, Workers’ Compensation Section (1986-2009). Former Chairman, Miami-Dade County Bar Association Ethics Committee, Eleventh Judicial Circuit Grievance Committee 11 “K”. President, Florida Workers’ Advocates, 1997. Included in the American Bar Association College of Workers’ Compensation Lawyers, 2010. Organizer and moderator for initial certification Review Program, Organizer and chaired Trial Advocacy Workshop, Workers’ Compensation Section of The Florida Bar, (1990-present). Original member and helped create Florida Workers’ Compensation Advocates in 1989 . One of three arbitrators selected by the National Football League Players Association and the NFL Management Council to adjudicate claims made by the Miami Dolphin players injured while engaged in their profession, (1989-present). Board of Director of F.W.A. (Florida Workers’ Advocates) 1989 to present. Member of the Miami-Dade County Bar Association, Broward County Bar Association, Florida Bar, American Bar Association. Member of the Board of Directors of Workplace Injury Litigation Group, (1997-present). Member of Florida Workers’ Compensation Hall of Fame. Profiled in Workers’ Compensation In Florida 1935-1995 – The Advocate by Creston Nelson-Morrill 1995. Victor Malca, a graduate of Texas Southern University Law School, has practiced law in Florida since 1994. He is a member of the Workers’ Compensation Section of The Florida Bar, Dade County Bar Association, Broward County Bar Association and Florida Workers’ Advocates. 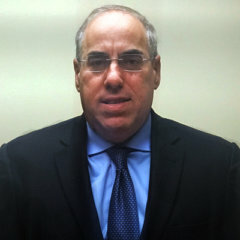 Victor is a partner in the Broward County office, specializes in representing injured workers in workers’ compensation cases and individuals in social security disability Claims before the Social Security Administration. 2018 Copyright © Malca Law P.A. All rights reserved.